Pioneer bushwalker, scientist and explorer Warren Bonython passed away this week and I’d like to dedicate my 2009 Heysen Trail assignment for Australian Geographic to his memory. 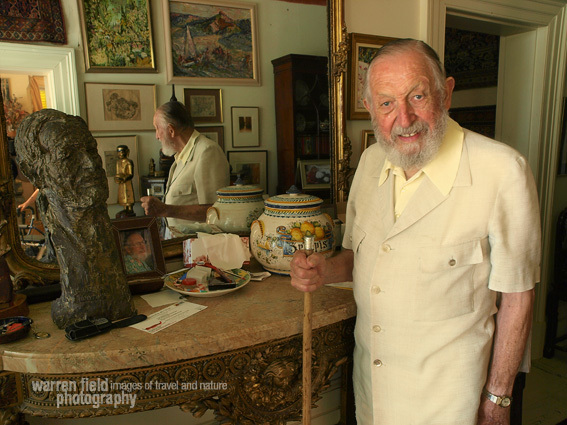 I photographed Warren at his Adelaide home with his wife Bunty and remember well, the humility and generosity of the couple as they welcomed a relative stranger into their labyrinthine home – a shrine to the life of an adventurer. The walls were adorned with fabulous outback art, the office, jam-packed with original sketch maps of his first forays into the South Australian outback in the late sixties. His list of academic achievements is as long as my arm. See my blog links from my 2009 Australian Geographic assignment with writer Quentin Chester. This entry was posted in AG Heysen Trail 2009 and tagged bonython, bushwalking, heysen trail, simpson deset, south australia, warren field. Bookmark the permalink. I think it is time we looked into renaming the Heysten Trail the Heysen-Bonython Trail. I think it would be fitting to have Warren’s name on something that is such an enduring gift to the State. I’d be very happy to see that happen. Having met him and seen his research, enthusisam and dedication to opening up the outback promoting a healthy lifestyle that is surely of great benefit in this day and age it’s the least the we can do. I’d love to return to the Flinders again soon.